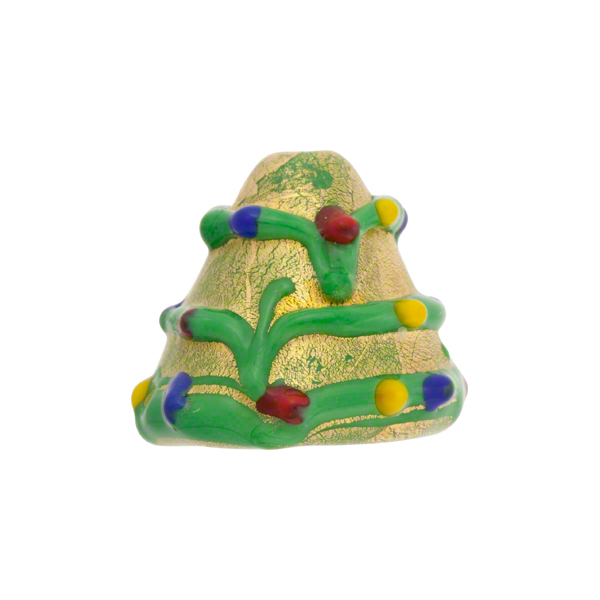 Lampwork Murano glass bead in the shape of a tree decorated with 24kt gold foil and dots of color for lights. Size is about 15mm tall and 14mm around. Little dots of color look like Christmas tree lights. Handmade in Venice for just our store, use them with our snowmen for a thematic look. 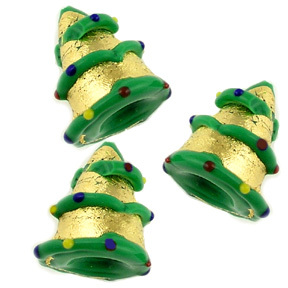 These will make great earrings for the holiday season. The exact placement and color of the dots are completely random with no two ever exactly alike.